Theater opened November 19, 2010. 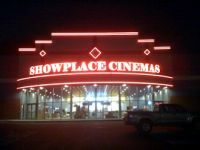 This theater is owned/operated by Showplace Cinemas. This movie theater is near Henderson, Evansville (IN), Baskett, Spottsville.